AUTOPARK automatic raising barrier is an innovative new product from AMC which provides an effective and economical solution for access control and parking space protection. The barrier is a surface mounted mains operated unit which is simply operated by a remote control transmitter on your key ring or in the car. Once the remote control is pressed, the barrier will raise or lower within seconds, and once you have passed, the bollard will return to its upright position automatically after a set period of time. 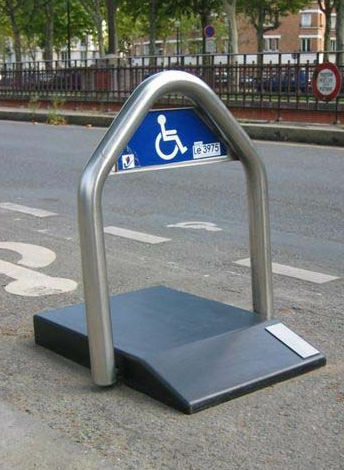 The unit is designed to provide parking space protection in areas ranging from residential locations to public buildings. The base unit is constructed from 6mm thick steel to resist being driven over by vehicles with a 19 tonne axle weight. The hoop is 2mm thick stainless steel.